I guess I’m just a big damned liar. As Thunder Road was about to be published, I contacted my high school English teacher, Ron Samborski, because he was a huge influence on my love of reading, (and when I turned in a writing assignment full of monsters and heroes, he never once told me to write something different). I was invited back to my old stomping grounds as a guest speaker for his Grade 11 and 12 English classes. To say it was odd to go back was an understatement. I was speaking in the same room where I had been taught. And while the teacher’s desk had moved in the ::checks watch:: twenty years since I’d been back there, the room felt like I’d never left. Even walking the halls to get there, I think I could have picked out my locker and remembered my old lock combination. I spoke with the Grade 12s first, talking about my journey as a writer, Thunder Road’s path to publication, and creative writing in general. I wasn’t sure what to expect when I walked in there. I’ve spoken to Red River’s Creative Communications and ACI Manitoba’s Teen Writers’ Workshop, but those where students who had sought out writing either as a hobby or a career. My best case scenario was that one or two members of the class would listen and engage and the rest would quietly ignore me. The class was great. They asked some good questions, answered me when I asked questions of them, and when I looked up from my book during the reading portion of presentation, no one was asleep, instead, they seemed, dare I say it, interested. I was expecting far more ambileance. I mean it’s been a while, but I think I can remember being that age (it involved a lot of walking, uphill as I recall, in the snow, -30–you know the drill). The Principal even stopped by to check things out (he got called back to the office before I had a chance to talk to him, unfortunately. I hear he’s a book collector) and their was a photographer taking pictures for the school newsletter. My first presentation was followed by an informal meet and greet with students and teachers (even better, people actually showed up! Of their own free will–or so I’ve been led to assume) in the library. Lots of memories there too. I met some budding writers, who given their passion, I hope to hear more from in the future. I answered questions about my writing, their writing, Writers in Residence, Arts Grants, I talked about NaNoWriMo with some novel month participants, there was even a poetry question from someone who wasn’t there to see me, but I’m glad she joined in the discussion. After a nice lunch with Ron, it was back to talk to his Grade 11 class. These students were right in the middle of a creative writing assignment that sounded like a lot of fun (a fusion narrative) and at least a few of them had read Thunder Road. And based on anecdotal evidence, even teenage girls like Loki best. This class was great too, attentive, inquisitive. I do feel like I let them down on the reading and presentation. Maybe having a bit of adrenaline pumping before I spoke to the first class or that by the time I talked to the second class, I’d been talking solidly for almost three hours but my reading felt off. I hope that wasn’t the case, and that it’s just me overanalyzing my work (nothing new there). This feeling isn’t something new. I noticed it last year at When Words Collide, where due to the vagaries of scheduling, I had to do both of my readings within five minutes or each other. And again I felt that I killed the first reading and stumbled over the second. Something to remember for the future, I guess, try to find some downtime in between readings to recharge the batteries. I think that besides being able to personalize Ron’s copy of Thunder Road, my favourite part of the visit was pulling out my Grade 12 project, as an example of why as a writer, you never throw anything out. The world of my “First They Came for the Pigs” in Fungi is drawn (yes, somewhat modified) from material in that twenty year old, handwritten, yarn bound collection of short stories and bad illustrations. Thank you for having me back, Morden Collegiate. It was a pleasure and a privilege. It’s been a month since I returned from Ottawa, and still no blog post about it. Just what the hell is my problem, anyway? I finished a review of David Nickle’s excellent Rasputin’s Bastards for The Winnipeg Review. It was a great read, but it was also a big Russian bear to review. Copy edits and page proofs for Thunder Road. I’m not sure how many of you reread the books you buy, but I’ve reread this book I’ve written more times than I can easily count. Page proofs are also the terror-stage of publishing. It’s the last chance I’ll get to change anything. Which of course means I want to change everything. With only a month until the launch of the book, there’s been a lot of unexpected (okay, expected, but completely ignored) things to take care of. I spent a good week tracking down the mailing address of what seems like pretty much everyone in Winnipeg. I promised the store I’d blow the roof off the place (the metaphorical roof, not the literal roof–that would get me fired and arrested). This seems more likely to happen, as within a week of the date being set, we had enough reservations that the event grew too large for its initial venue. So, thank you, Winnipeg. That was an amazing feeling. Trilogy, you say? I’m hard (ha!) at work on Tombstone Blues. And somewhere in this sea of first book publicity I still need to finish that damned sequel. It’s coming along. More slowly than I’d like, but hopefully I won’t be embarrassed of the book when I turn it in to Turnstone Press in November. In other short story news, I’ve finished my galley edits for “First They Came for the Pigs” which was a surprisingly painless procedure. Pre-sale on the Fungi anthology happens in November, release is set for December. I also finished a short story: “A Taste of the Other Side” (almost finished, actually, still some tiny amounts of polish to be lacquered on to it) and will be submitting it to the editor this week. This one was for an anthology where I’d been invited to submit a story. That was a big deal for me, it also means added pressure to get it right out of the gate. I think it works. We’ll see. The last “writer thing” I’ve had to do involved writing a one hundred word bio of myself. It seems every time I need a bio, a slightly different word count is asked for, and so I must toil at trying to make myself seem a) interesting and b) not a total douche. Thanks to The Daly Show, a little less douche has become my biographical mantra. A Bunch of Little Things Make a Big Blog Post. Another great year for my pals at ChiZine, and the second year in a row where the Sunbursts and the Prix Auroras have had a surprising amount of commonality. My recollection (I suppose I could actually research this, but that defeats the purpose of a quick blog post, doesn’t it?) is that the two awards, one juried, one fan-voted, have never shared a winner. Local awards like On the Same Page are always hard for me to come out in support of a particular title. I think it stems from getting to know many of the authors at my bookselling day job. It feels a little like playing favourites. I know I have a few colleagues who refuse to be on any of the Manitoba Book Awards juries for this reason. But this is my blog and I’ll play favourites if I want to. I think it’s going to be hard to top Manitowapow this year. The book has had an amazing response so far, and with its multiple contributors I think it’ll have the most promotional oomph. There are no genre titles in the running this year. I nominated Sierra Dean’s debut urban fantasy Something Secret This Way Comes, (mostly because it’s an awesome and fun read, but partly because I know the customers who buy whole hog into On the Same Page, and thinking of them reading a book about a half-werewolf, half-vampire bounty hunter really made me smile) because if I don’t support Winnipeg’s fantasy writing community, who will? Fellow Turnstone author, critique partner, maker of holiday peanut brittle and all around good egg, Karen Dudley, has booked the Winnipeg launch for her fantasy debut, Food for the Gods. Be there. It’ll be awesome. I fully intend on drinking a full amphora of wine and telling embarrassing stories about the early days of this novel. If that doesn’t float your boat, Karen is one of the best readers I’ve encountered, and trust me, I’ve worked in a book store for over ten years, I’ve heard a lot of readings (many of which I’d pay money to unhear). A great shout out from my home team at McNally Robinson. Thanks especially to Steven Benstead who wrote the article and has been a tireless supporter of my writing from day one. Steve is also a damn fine writer himself, and as much as I poke fun at Can-Lit, when his current novel finds a home, it’ll knock your socks off. Finally, the Innsmouth Free Press anthology Fungi (containing my story “First They Came for the Pigs“) has a website now and I think it looks beautiful. I love everything about this project, so kudos to editors Silvia Moreno-Garcia and Orrin Grey. I can’t wait to read everyone else’s stories. And if I’m playing favourites, of all the stories I’ve written, my contribution to Fungi is currently my most loved. That’s all the news fit for print, as the saying goes. Another Keycon has come and gone. Keycon is my home science fiction and fantasy convention. 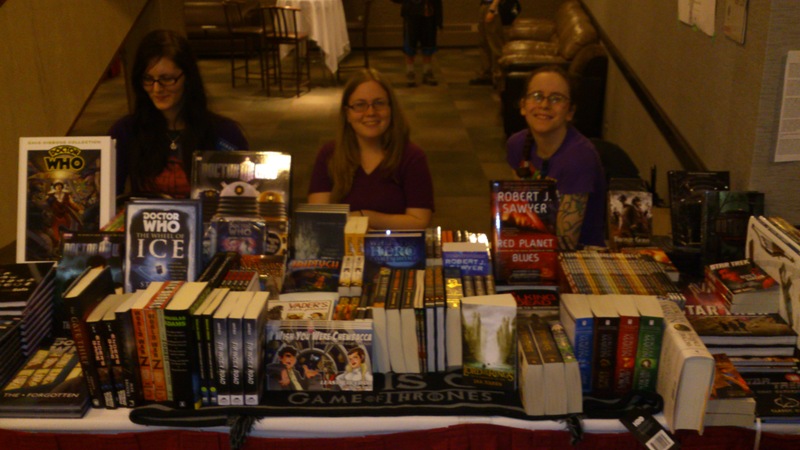 I’ve been attending the con regularly since I started writing and always found it to be a fun, laid-back experience. Keycon also usually has a very strong literary track of programming. This year’s author Guests of Honour were Timothy Zahn and Jonathan Maberry. Other out of town writers in attendance included Robert J. Sawyer, Eileen Bell, Marie Bilodeau and Erika Holt. Manitoba’s SF&F writing contingent were out in force as well, with programming including myself, Karen Dudley, Sherry Peters, Ronald Hore, Chris Rutkowski, Craig Russell, Gerald Brandt (Gerald, I’m including you even though you didn’t do any panels–next year you’ll have no choice, Mr. Published author!) and Lindsay Kitson. Touring visiting writers about Winnipeg/Manitoba is awesome, and in many cases, because I didn’t grow up in the city myself, I get to experience these places for the first time, or at least, for the first time in years (I feel there is another blog post in that sentiment somewhere…). Wendy, Marie and I met Rob, Sherry and Erika at The Forks, in the Oodena Celebration Circle (one of my favourite spots in Winnipeg), and grabbed a bite to eat before exploring the market (I bought a Spider-Man toque/half balaclava that everyone was very disappointed I didn’t wear for my reading–it is now my Twitter and Facebook avatar) and taking in the River Walk, amazingly for this time of year, it was not under three feet of water. Afterwards, I took Marie to Louis Riel’s grave, and we walked the grounds of the St. Boniface Cathedral and the Manitoba Legislature before grabbing our memberships to the con and fleeing downtown just ahead of rush hour traffic. We all met up again for a barbecue at Karen’s house (Bison burgers!) and were joined by Eileen and Winnipeg artist (and former Keycon Artist GoH) Kari-Ann Anderson, and as Opening Ceremonies were looming we made our way back to the Radisson. One of the reasons I love attending cons is that I get to talk face to face with my twitter and Facebook pals. At the Ice Cream Social following Opening Ceremonies (where I learned we’d all missed being there for the “Also Attending” announcement–we were in the Dealer’s Room, dropping coin) I met up Dieselpunk author and Twitter pal Lindsay Kitson, who joined us for some of the evening. I didn’t take in any programming Friday, instead enjoying the many Hospitality Suites (I think the Nautilus-themed decorations of the New Cairo Club suite were my favourite–even if the drinks they served were not). My reading was at 10:00 am, on Saturday. As such, I was expecting to be reading to Karen Dudley, who was sharing the reading slot with me, and one or two other folks if I was lucky. Instead, we had a turnout of close to twenty people! If that doesn’t sound like a lot, trust me, for a con, it is. Many attendees were new friends (and old–including a couple who paid for a day pass just to attend the reading! Thanks Mike and Hilary! ), some people I know only by name or brief conversations at the con, but a handful–completely new to me. My publisher, Turnstone Press also printed chapbooks that held the first chapters of Thunder Road and Food for the Gods, and Keycon was kind enough to hand these out with their program books. 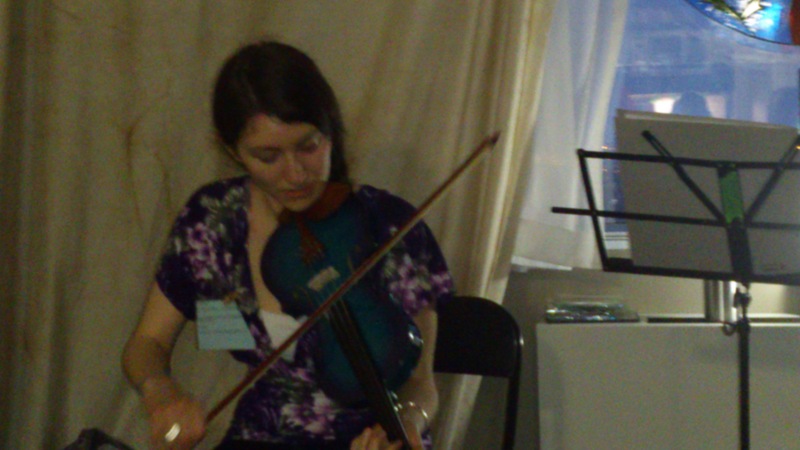 It was an amazing experience, and I’m grateful to everyone who came and listened so attentively, and who seemed to really enjoy what they heard. This year’s panels attended included: Does it always have to be Good vs. Evil (Timothy Zahn–whose Heir to the Empire is the post-Empire Strikes Back highlight of the Star Wars franchise in my opinion–and Craig Russell, author of 2011 Aurora nominated Black Bottle Man). Storytime with Marie, where Marie Bilodeau told the story of finding the perfect ending to the first story she sold (if you’ve never checked out her storytelling you’re cheating yourself of an amazing experience). Feminism in Fantasy was more a discussion of feminism and women’s issues in general than in fantasy specifically, but I thought the panelists did a good job (Marie Bilodeau and Karen Dudley (panel crasher!) moderated by Keycon stalwart LeAmber Kensley). Stereotypes in Speculative Fiction (Jonathan Maberry, Marie Bilodeau) which didn’t have a lot to do with the topic at hand, but was still tons of fun as Jonathan is an amazing storyteller. Drinks with Jonathan and most of the attending writers followed, where we talked vampires, folklore, politics, American views of Canadians and vice versa, bourbon and why the Zombie Apocalypse will be all Jonathan’s fault. Jonathan knows a lot about science, folklore, and shares my love of Knob Creek bourbon. He even enjoyed his first Canadian beer, a Fort Garry Pale. 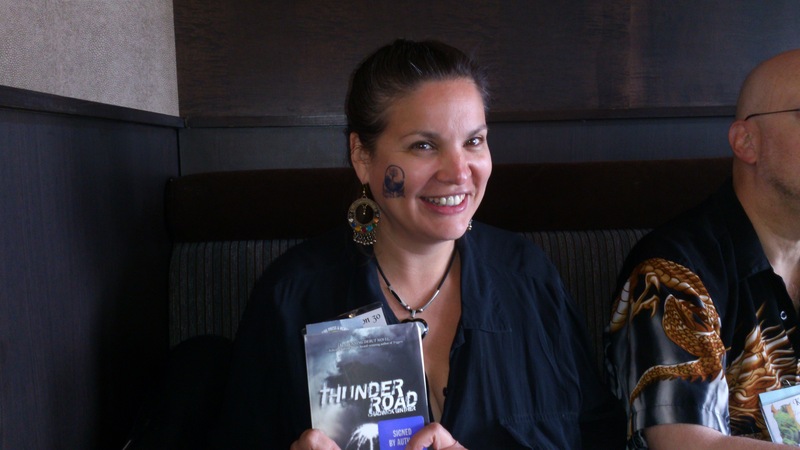 I also got to meet and chat with up-and-coming Winnipeg writer Tara Lee Baxter. She loves the Norse stuff too, so I can’t wait to read her book someday. I cut my con a day short this year–for my Mom’s birthday–but I’m already excited about next year. The Stars Are Right is the the theme, 100 years of H.P. 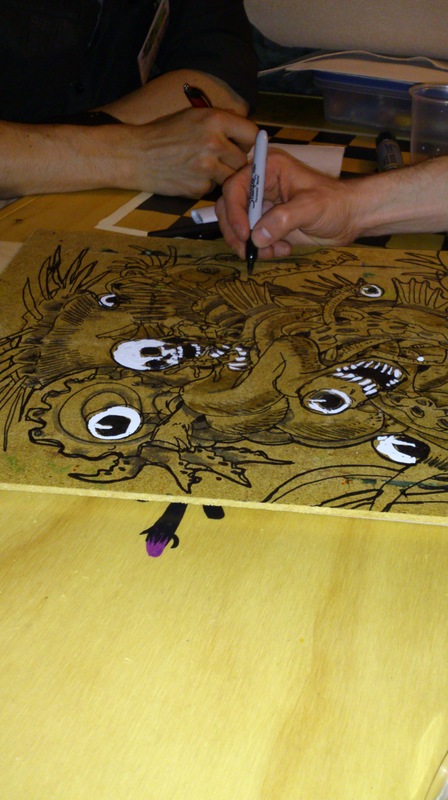 Lovecraft, 50 years of Doctor Who, 30 years of Keycon. So far confirmed as a guest is Innsmouth Free Press editor Silvia Moreno-Garcia, who is also co-editor of Fungi, which contains my story “First They Came for the Pigs”. I’m really looking forward to meeting her, and participating in all the eldritch horror that Keycon has to offer. 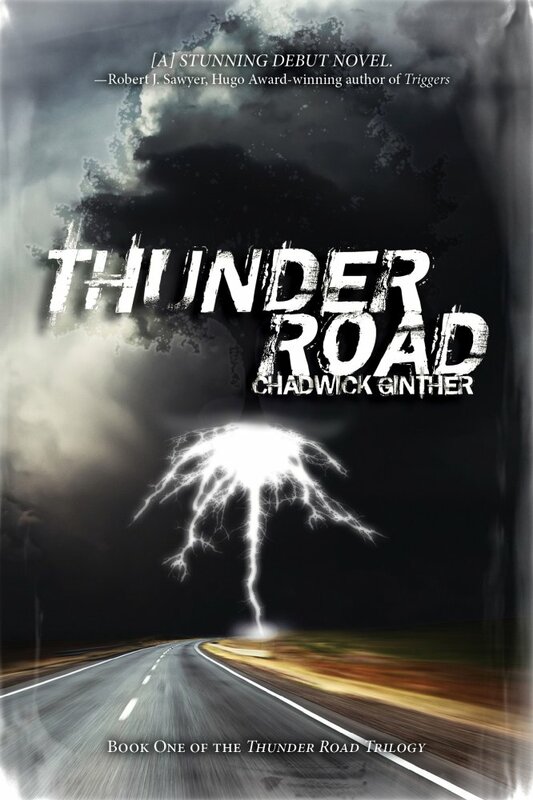 My publisher Turnstone Press just sent out the first press release for Thunder Road! Which means they just sent out my first press release! Turnstone Press imprint Ravenstone, known until now for its mysteries and thrillers, expands to include speculative fiction in 2012. This fall Ravenstone will feature two new novels of speculative fiction with the talented up-and-coming fantasy writer, Chadwick Ginther, and the much-loved mystery-maven-turned-speculative-fictionista, Karen Dudley. 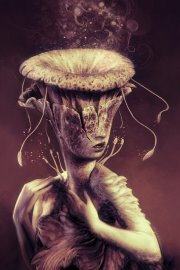 In other news, Innsmouth Free Press released the Table of Contents for Fungi, edited by Silvia Moreno-Garcia and Orrin Grey.